Keep your 8 foot firewood rack looking brand new. 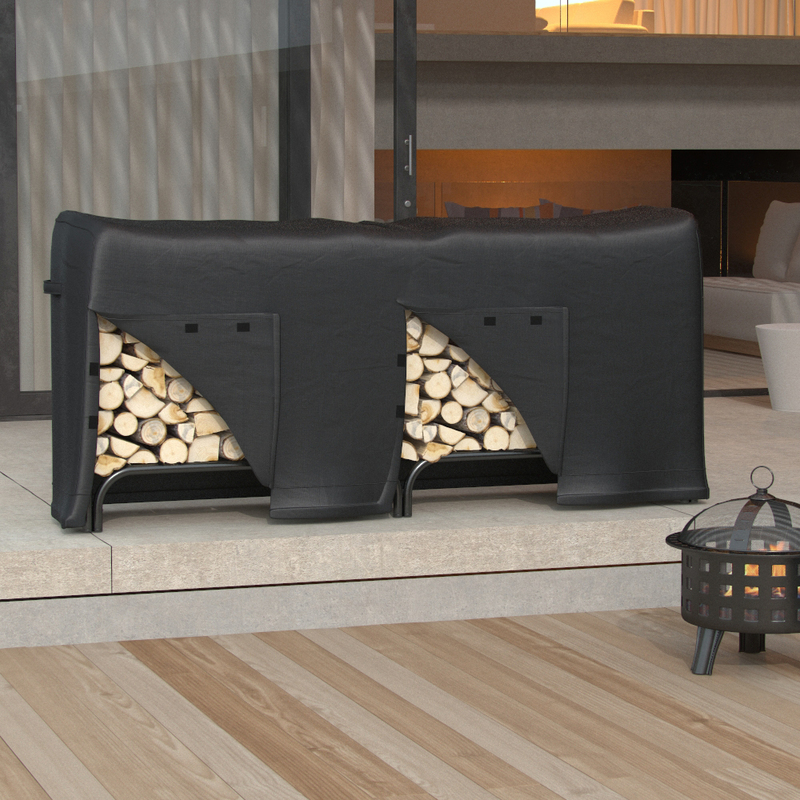 Made from heavy duty material, it is water resistant to protect your log rack from outdoor elements and insects, giving your product a longer lifespan. 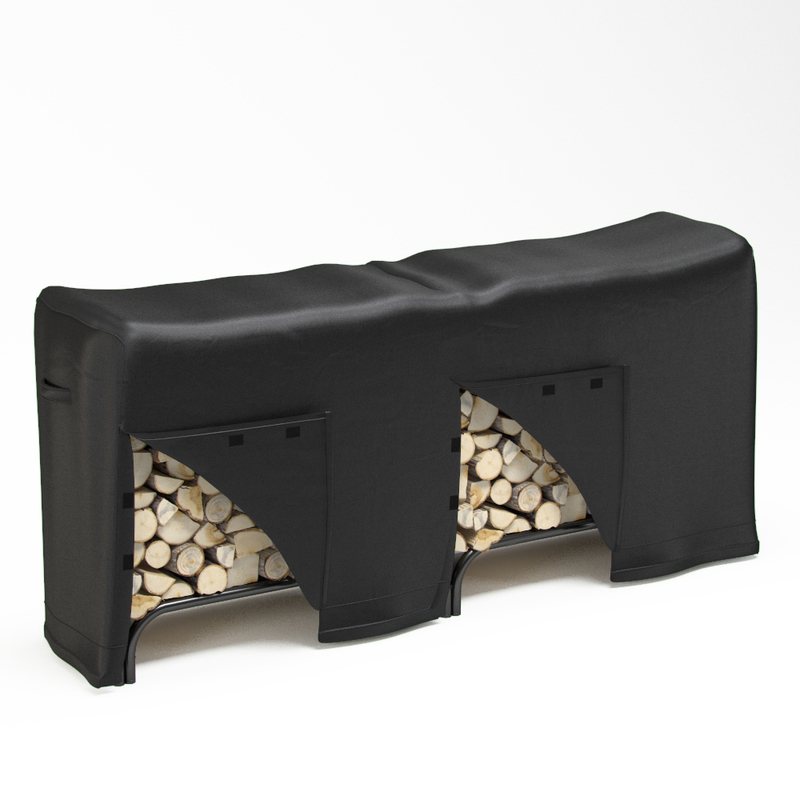 This firewood rack cover is designed for an 8 foot fire wood holder log rack. 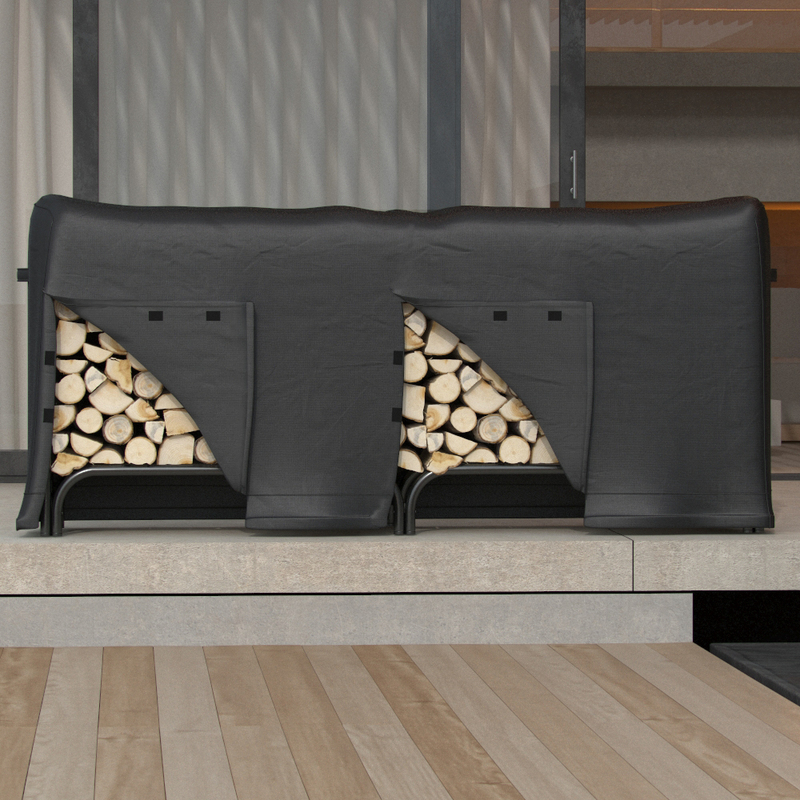 Firewood log rack is a perfect addition to any fireplace, portable LP Propane fire pit, Outdoor Fire Pit, Fire Ring, Chimenea, Chimney or Firebowl. Protective water resistant fabric system won't crack in cold weather. 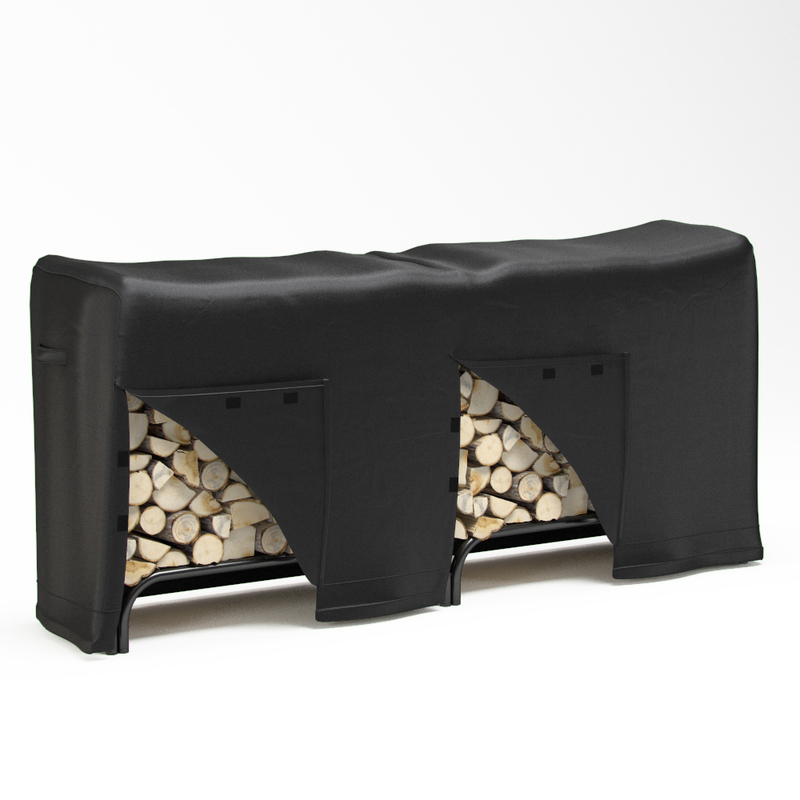 This firewood log rack cover can be used indoors and outdoors. 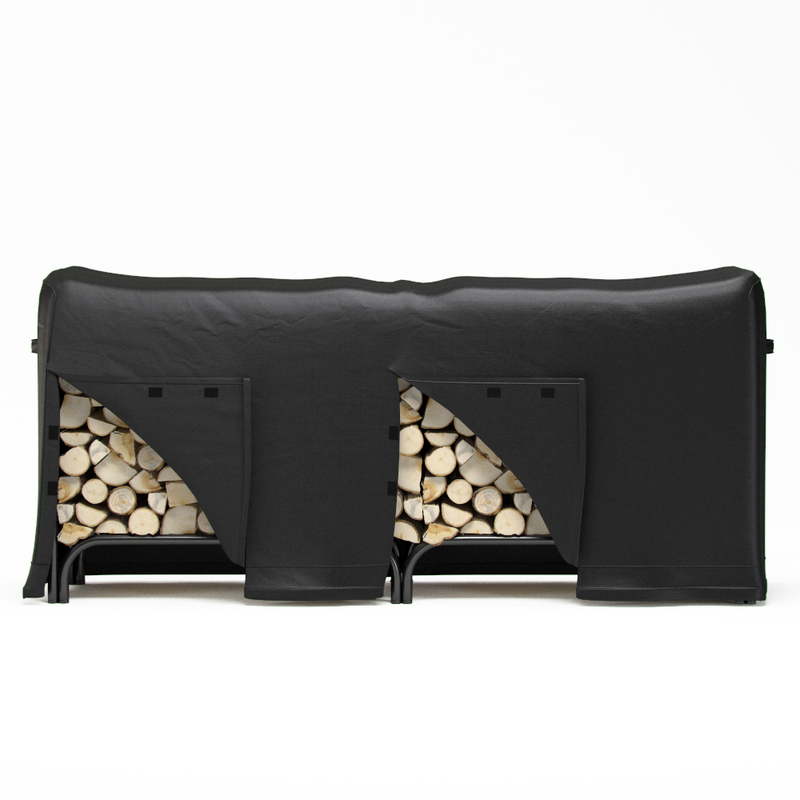 This firewood storage rack cover is one of the most popular fireplace accessories. Easily installed and works and looks great! So much nicer looking than an icky blue tarp. We'll have dry firewood this winter. Keeps wood dry and looks nice. I have to reserve a star just because it is brand new and I am not sure how it will hold up yet to a harsh winter; however, it is much heavier and well made than I expected for the price. It is made of heavy, thick canvas, has huge heavy duty Velcro along the front access, nice tight clips and elastic drawstring along the bottom with plastic hooks to keep it together. I do believe this heavy duty rack cover will last thru many a harsh winters. After spending numerous seasons fighting with, wrestling with, and pleading with my wood cover to just do its job, I finally broke down and spent the money on this quality cover. Now I'm just mad I didn't do it sooner. 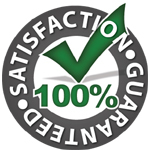 Heavy duty material and easy access to the wood make this a cover a breeze! I'm truly impressed Go ahead, you won't be sorry!